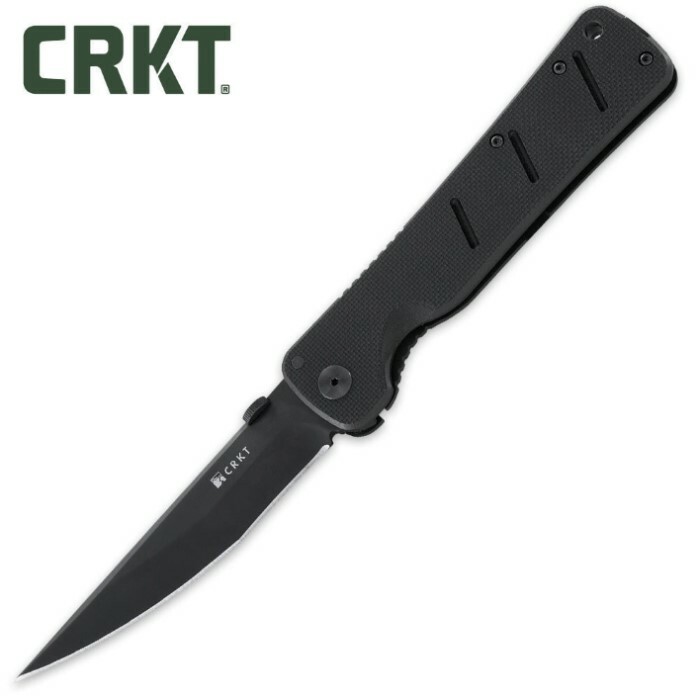 CRKT Otanashi Noh Ken | BUDK.com - Knives & Swords At The Lowest Prices! The Otanashi noh Ken was designed by James Williams per a request from SOCOM for a larger, thinner, folding combat knife that was easy to carry and conceal. This thing is deadly. Don't let the picture fool you, this folder is large and in charge. I have sliced right through multiple water bottles with the Otanashi, can't imagine not having it in my life at this point. Not exactly and everyday carry unless you plan on engaging people with it, as it was designed for military use. If you buy it with one of the discounts BudK runs quite often you can get it with shipping cheaper than anywhere else (including Amazon). I plan on purchasing all of the James Williams CRKT knives eventually, hopefully the rest are as amazing as this. Out of all the folders I have this one is easily my favorite. One of the best knives I have ever had..so smooth so flat and unobtrusive. Great knife.